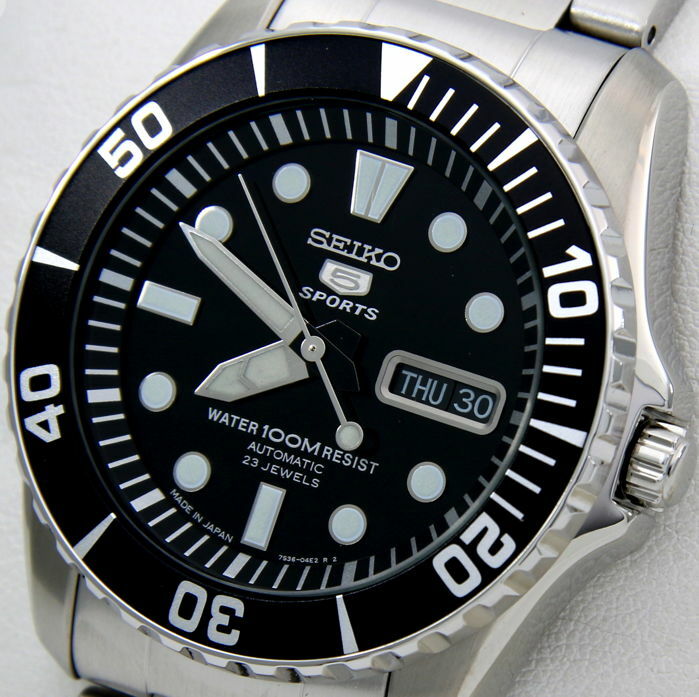 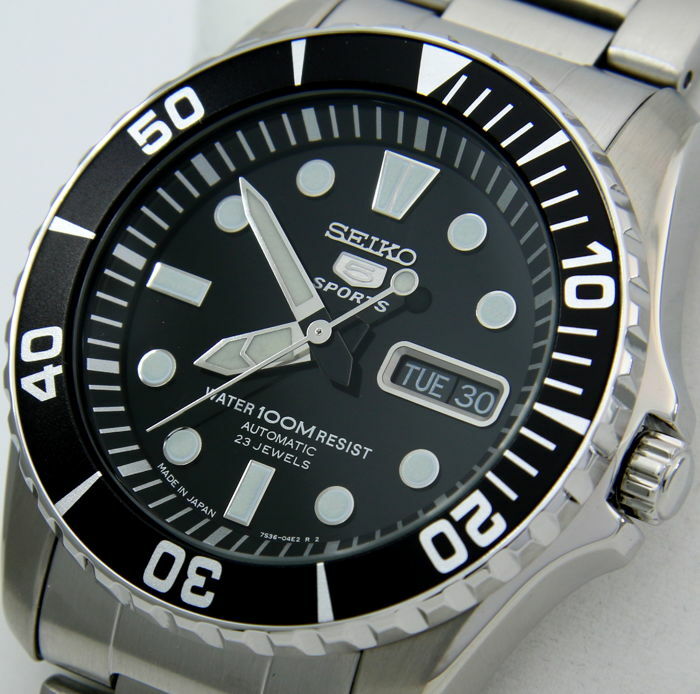 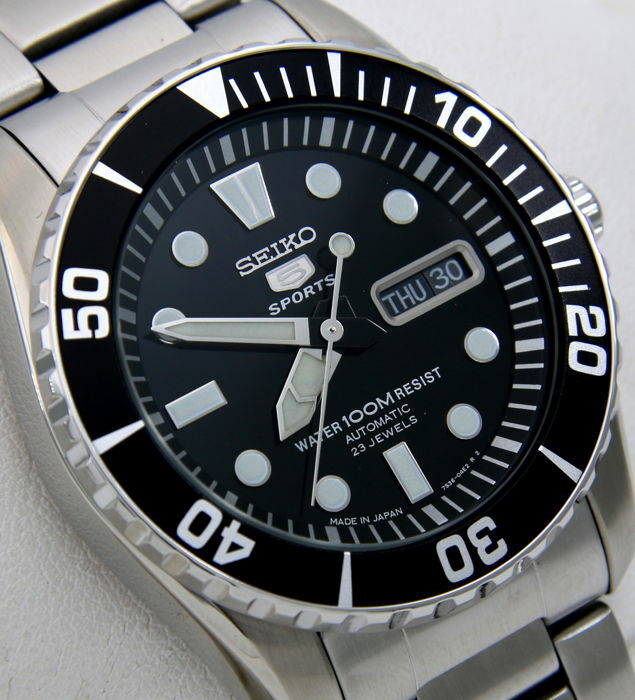 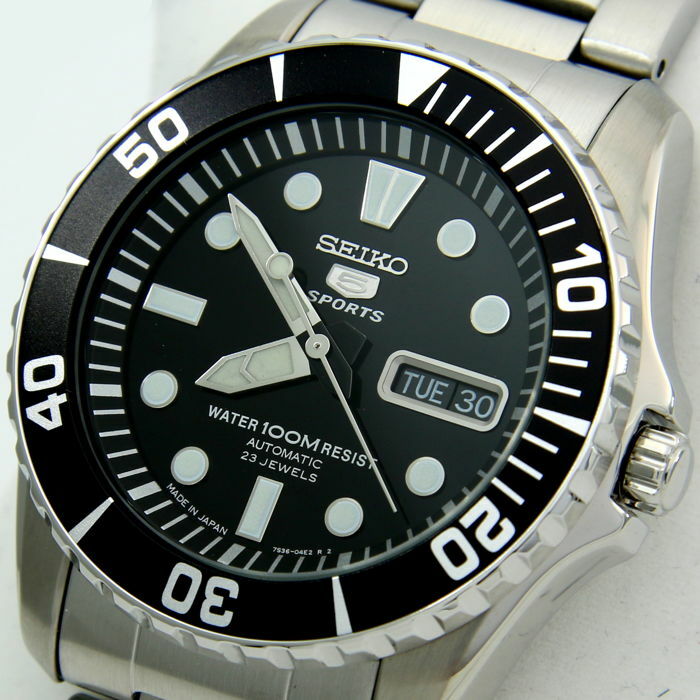 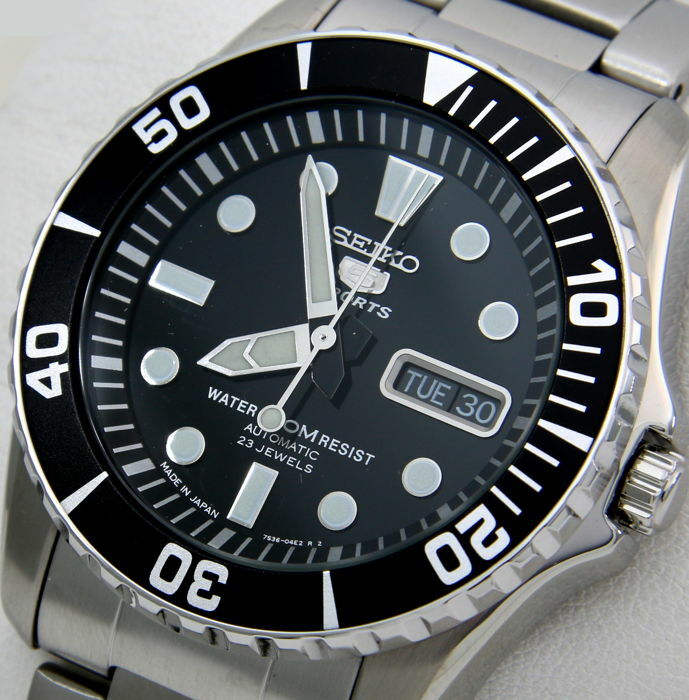 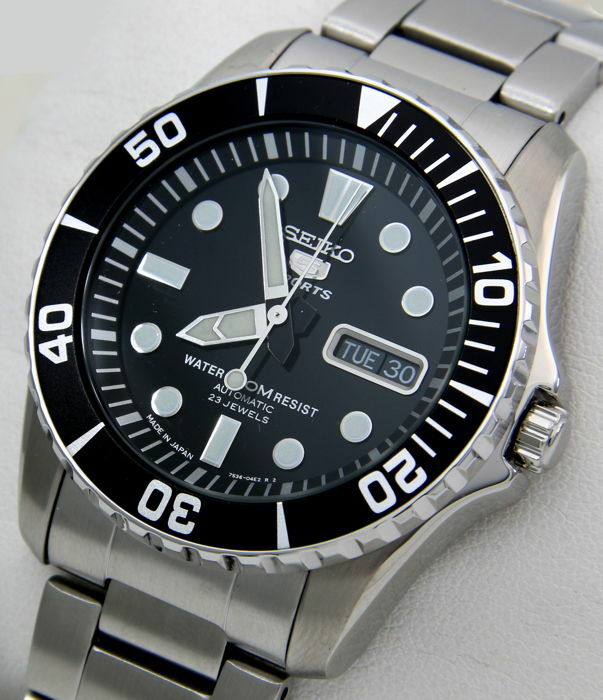 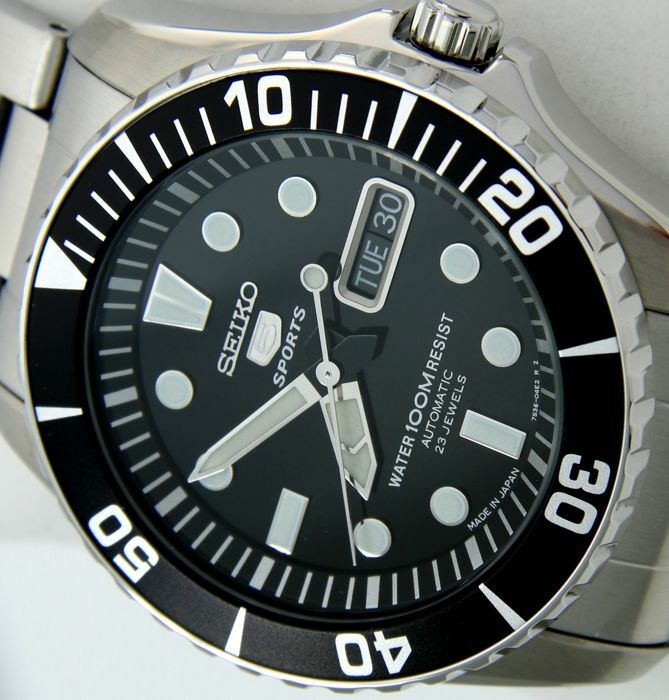 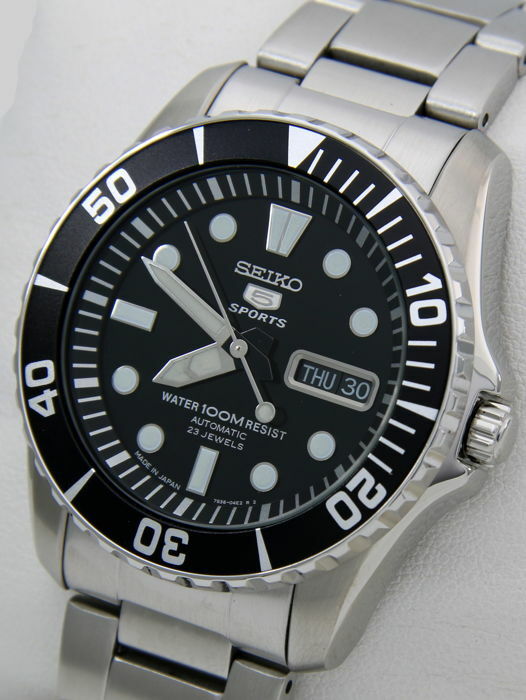 Wonderful Seiko watch, automatic, 5 sports, 23 jewels. 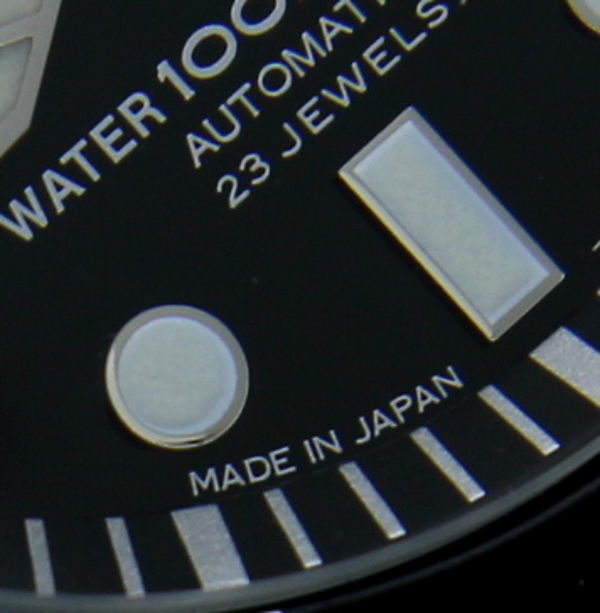 Made in Japan (rare and high value). 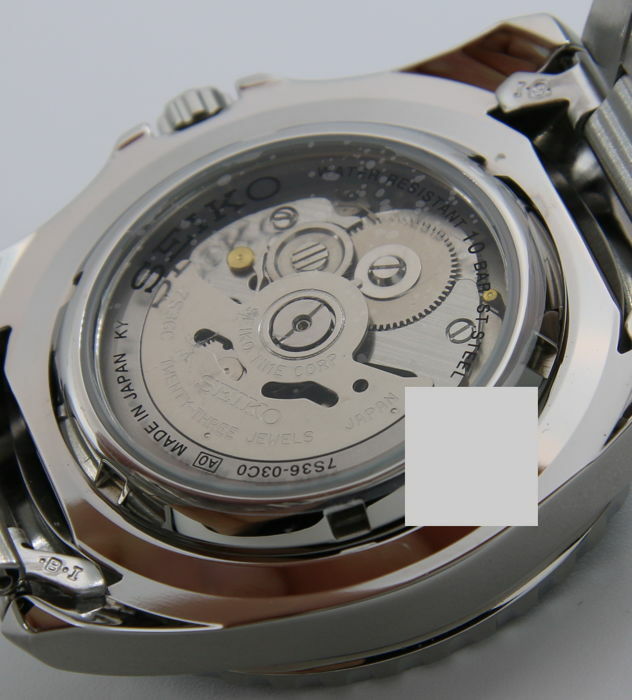 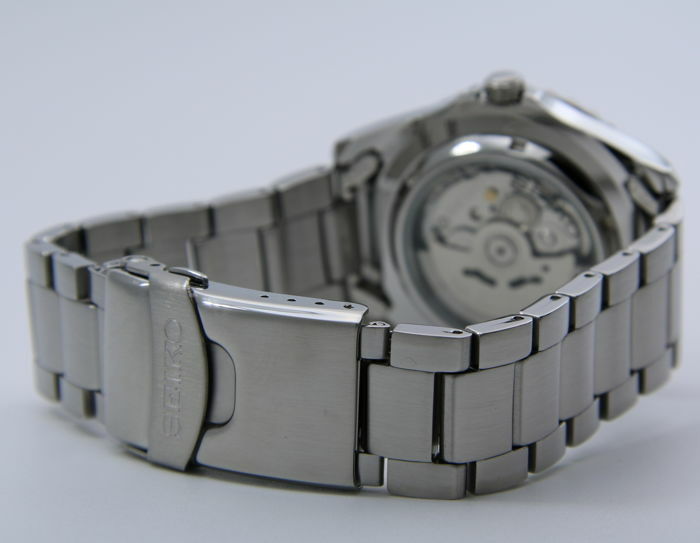 Seiko automatic movement, calibre 7S36. 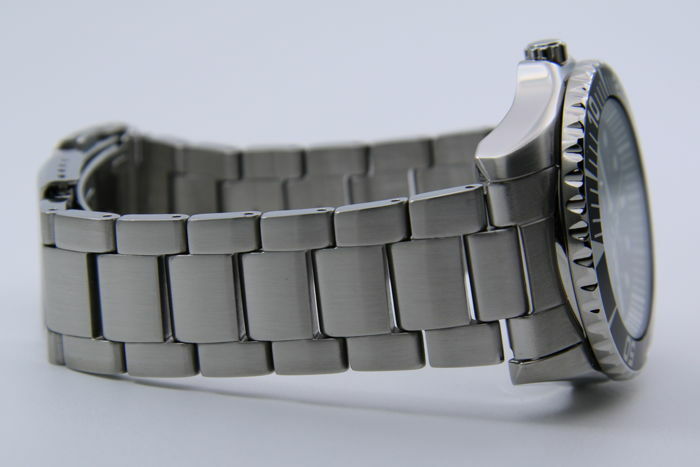 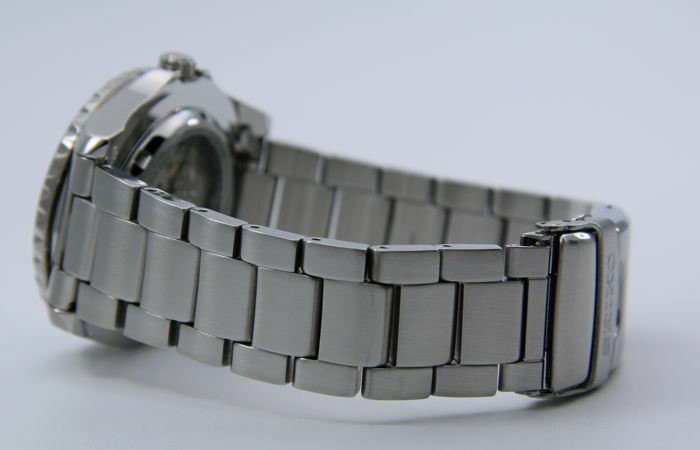 Stainless steel bracelet (the width varies from 20 mm to 22 mm). 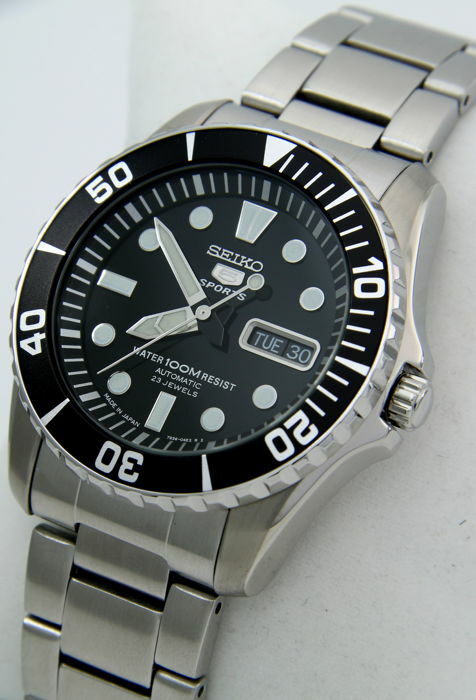 The circumference of the watch is approx. 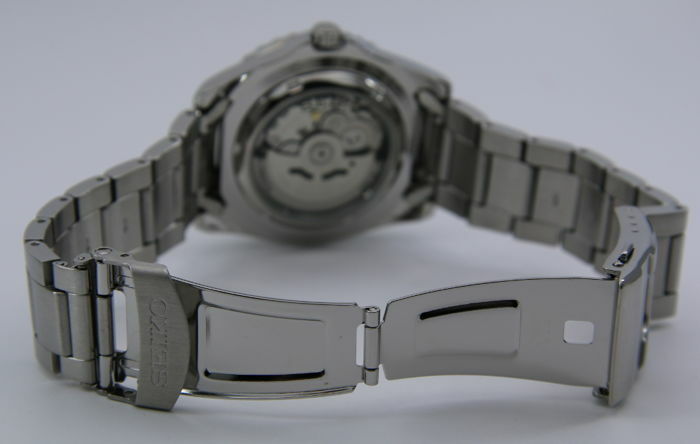 23 cm. 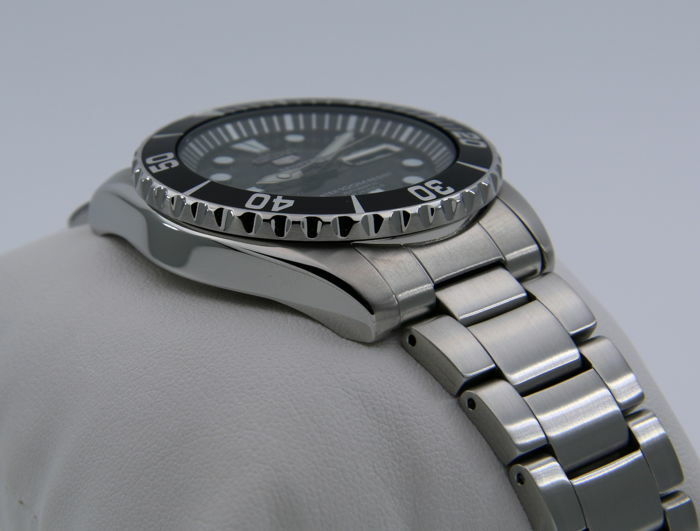 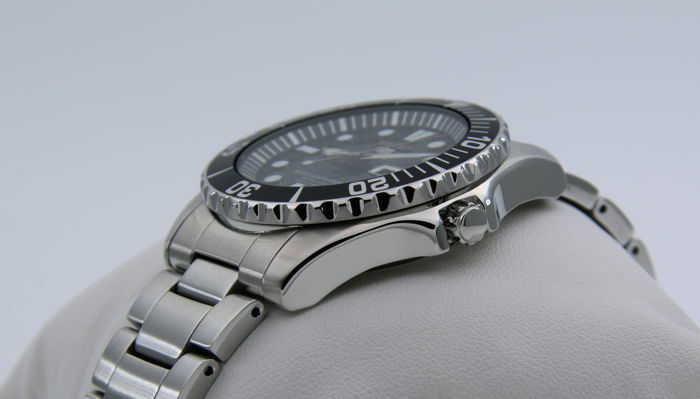 The case measures 42 mm in diameter (excluding crown) and 13 mm in thickness. 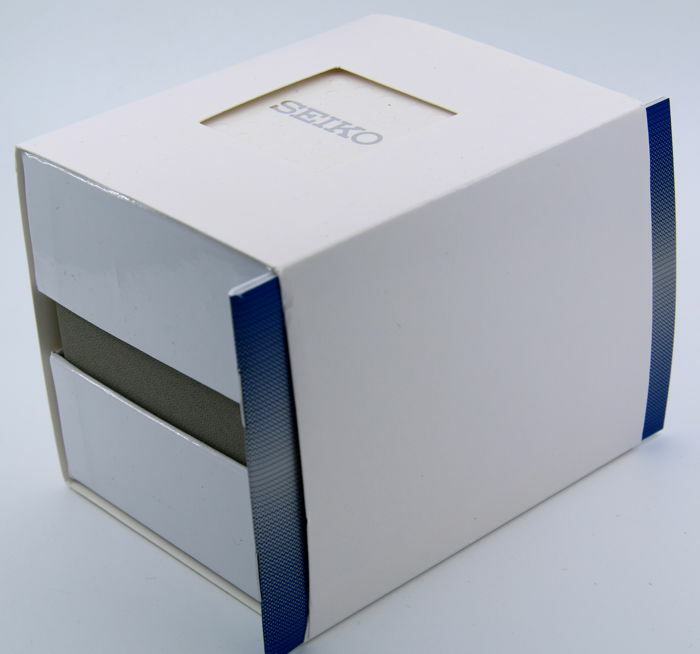 The item will be carefully packaged and shipped from Italy by courier (tracked and insured).